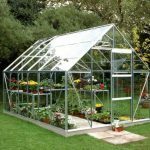 Ideal for gardens of all sizes, the Greenhouse 6 x 6 Waltons Extra Tall Polycarbonate Clip Model offers you a fun, practical and very attractive place to get your hands dirty growing your prized plants, looking after your veggies and also growing some delicious fruit. This has everything you would want in a greenhouse. It will be nice and warm inside here giving the plants and food the perfect environment to grow. The roof is very well made and even has a panel that can be opened so if you do get a little too hot, you can get some fresh air in here. 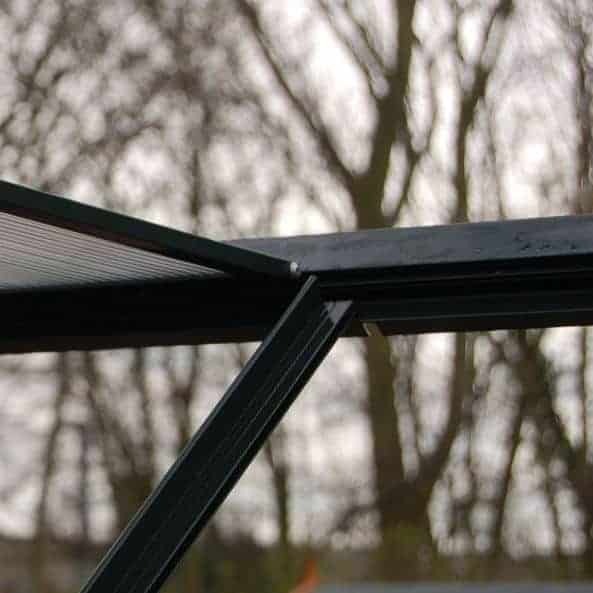 The roof has this amazing guttering system that actually comes with a free drainpipe so you can actually collect rainwater and then give that to your plants, veggies and fruit. This is a very affordable greenhouse, but it is still made incredibly well. The walls are made with 4 mm thick polycarbonate panels which are shatterproof, making this ideal if you have kids who play in your garden. 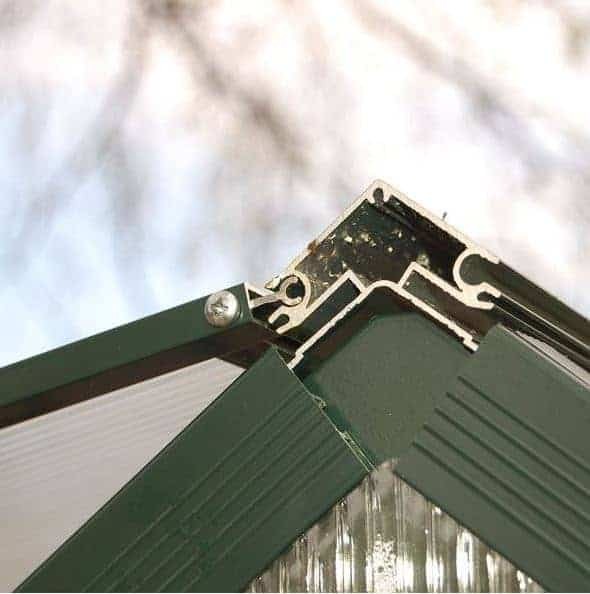 These panels are kept in place with a solid, but lightweight frame which has been power coated to protect it against rust. The clever design means that you are going to get many years out of this and it is not going to require much maintenance at all which is always a good thing. Strong, 4 mm thick polycarbonate panels. 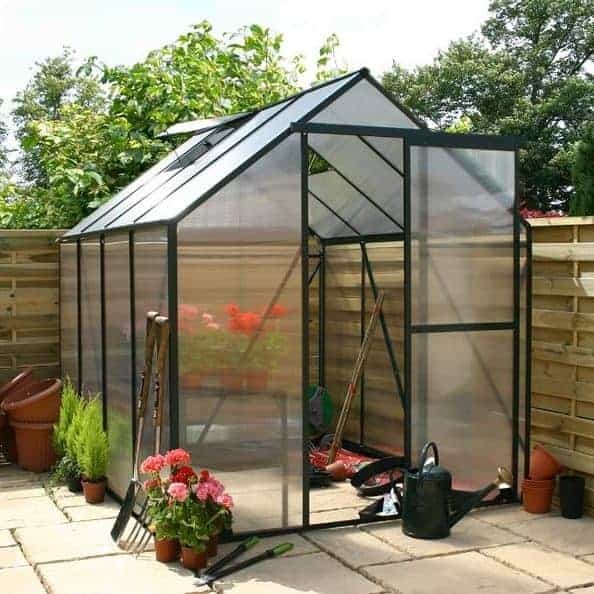 When you install the Greenhouse 6 x 6 Waltons Extra Tall Polycarbonate Clip Model in your garden, you are giving yourself a really nice looking and very practical place to grow some plants, scrumptious vegetables and juicy fruit. We love how this looks and it is also not too large so it will easily be able to fit into most sizes of gardens. The width is 6 feet 7 inches and the depth is 6 feet 5 inches so as you can see it is a decent size, but it will not take over your garden. The one pictured is the model that is a little bigger than this one, but it is done in the exact same style, just a little more compact than the one pictured. 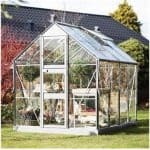 One of the most impressive things about the design of this greenhouse is that Waltons have made sure that it is high enough so that you can walk around comfortably. The apex nature of the roof makes this 6 feet 7 inches high along the ridge which is very impressive. As you can see from the pictures, the apex roof is just fantastic and Waltons have made it extra high so that lots of light can get inside.The roof has a guttering system which is great as it makes the water run off the roof into this instead of down the walls of the greenhouse. 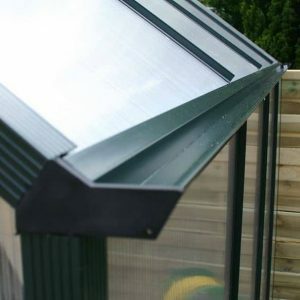 One cool free extra that Waltons are giving you is a rain pipe that can connect to the guttering, here you can collect the rainwater and use it to water your plants, we really like the idea of this and as it is free, it really is a fantastic bonus. We really love how strong the 4 mm thick, polycarbonate panels are. These are shatterproof and because of the way they are made they will not fade over time, so they will always be nice and clear. These panels also make installing the greenhouse very easy as everything just clicks together. If you have used Lego with your kids or grandkids then you will be easily able to build this. Speaking of kids these panels are perfect if you have kids running around your garden as there is zero chance of broken glass being all over the place if they hit it with a ball. Not that we are saying you should allow the kids to use this as a set of goals, but you get the idea. A strong aluminium framing is what keeps this all together. While this is very strong it is also lightweight which is something we find very interesting. Waltons have powder coated the frame with a very attractive green paint which is going to make sure the frame stays rust free. No flooring is included with this greenhouse so make sure you are installing this on a secure surface. To be honest, you could pretty much install this anywhere, even grass if that is your only option, but we feel concrete or some kind of decking would be better. The lack of flooring is not something that we are concerned with as many greenhouses do not come with a floor. No treatment is required with this greenhouse and it also requires very little upkeep during its life. 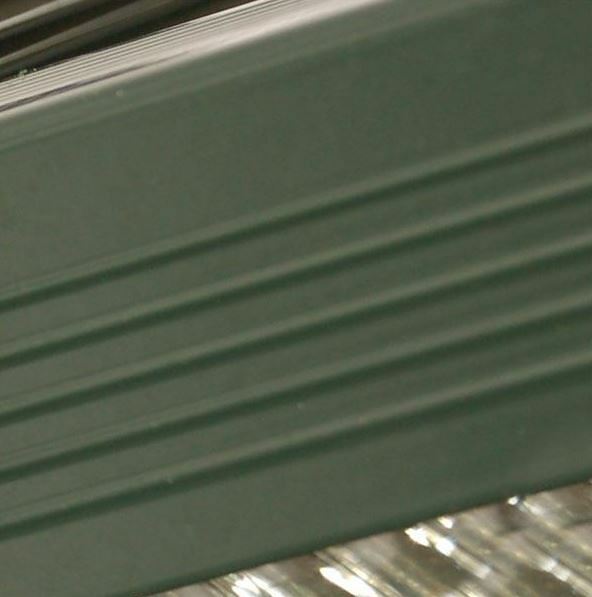 You may want to give those polycarbonate panels a clean every once and awhile, but that is all you really need to do. The Greenhouse 6 x 6 Waltons Extra Tall Polycarbonate Clip Model comes with a three year guarantee. This is very generous and honestly we could see this greenhouse lasting you 20 or more years. We really like the door that Waltons have used on this greenhouse. To start with it is wide and high so getting things as large as a big bag of compost or a really tall plant will be easy. Also though the door is made with the same polycarbonate panels and strong, powder coated aluminium frame. Best thing about the door is that it is a sliding door, this has been done so that it is easy just to slide it to the right when you want to go inside, but as well as being practical we would be lying if we said it is not a lot of fun to slide the door back and forth, pretending it is a door like they had on Star Trek. On the roof of the greenhouse one of the panels can be opened so that you can let in some fresh air. Let us tell you thanks to the panels being 4 mm thick, it can get very warm in here so you will be thankful for that opening panel. There is no lock on the door, but the opening panel and the door, close very firmly and those panels are shatterproof so it is a more secure structure than the pictures suggest. You are not getting any privacy with this greenhouse, but it is made of see through polycarbonate panels so that was to be expected. As is the case with most other greenhouses there is no customisation options available with this, but that is not something we are going to put the greenhouse down for. There are a couple of extras for this greenhouse. The drainpipe should actually cost £9.99 so that really is a great extra you are getting free. If you want to make sure your plants and veggies are getting enough heat then you may be interested in the 1.9 kw gas heater. This is a compact heater than can be added for a reasonable £84.99. While we feel the greenhouse would be fine if installed on concrete. If you only have grass in your garden then you may be interested in the, greenhouse base that they have. This costs £44.99, which is a fair price in our opinion. 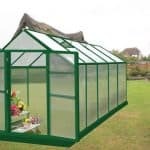 We are very impressed with the overall quality of this greenhouse, considering the low price; Waltons have done a fantastic job here. This is going to last you a very long time. Those panels are shatterproof and will not crack or show signs of age. The framing being powder coated will make it last even longer. In all, Waltons have made some clever design choices that are going to greatly enhance the life of the greenhouse. 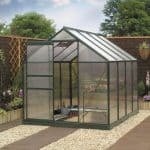 This is one of the smaller sized greenhouses we have seen, but this does make it ideal for those of you with more compact gardens. You will have no trouble building this at all. It is designed so that it easily clips together and with the help of a friend, we are sure you will have this built in no time at all. 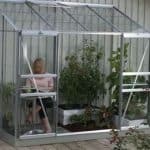 This is a very affordable greenhouse and while it may be on the small size. If you can manage with this amount of space then we are sure you will more than get your money’s worth with this. Final Thoughts: Sure the Greenhouse 6 x 6 Waltons Extra Tall Polycarbonate Clip Model is not the largest greenhouse in the world, but Waltons have done a very good job here and this does what it does very well. It gives you a safe and ideal environment for your plants and food to grow and it is of course being sold at a very reasonable price which makes it even more attractive. 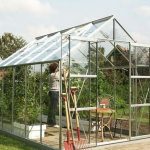 If you do not have a large garden, but still want a high quality greenhouse to potter around in to grow food and take care of plants then this one here would be ideal for you.